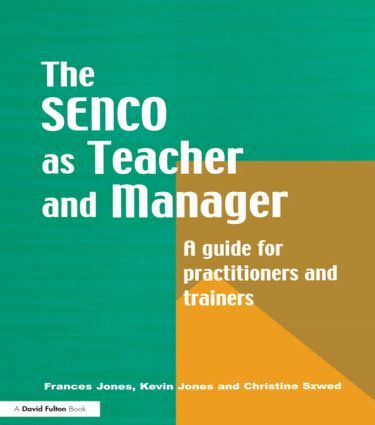 This text reflects the shift in the SENCO's role from SEN teacher to manager. Written within the context of the most recent government initiatives, it can be used by both special-needs coordinators and by special-educational-needs trainers and advisory staff. In two parts, it explores the range of skills required for the role of special needs coordinator and offers information and advice to develop those skills. Practical activities enable the user to monitor and evaluate special-needs provision in their own school and to implement a structured process of change in partnership with all those involved in meeting special educational needs.